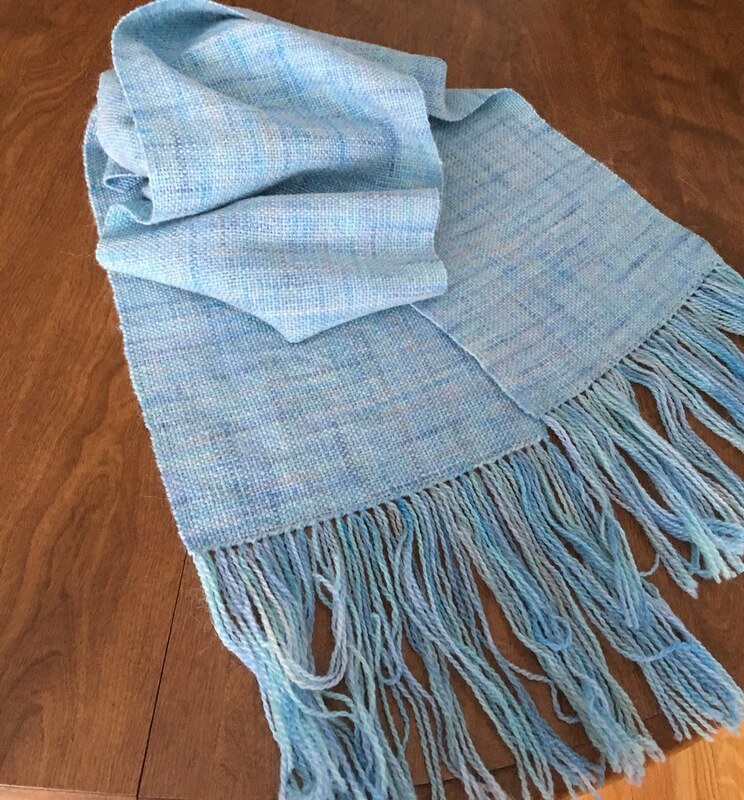 This entry was posted in Weaving and tagged handwoven scarf, rigid heddle weaving, Schacht Cricket. Bookmark the permalink. 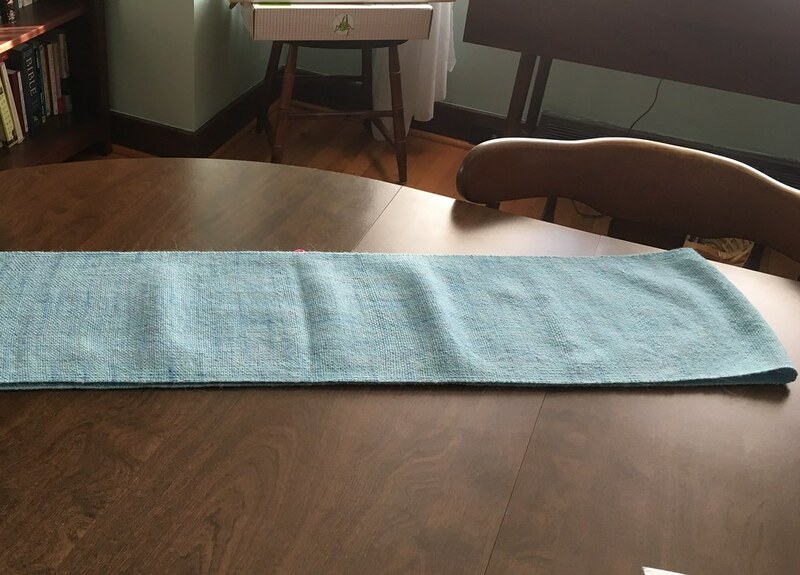 You definitely learned from the experience and go a beautiful scarf out of it! 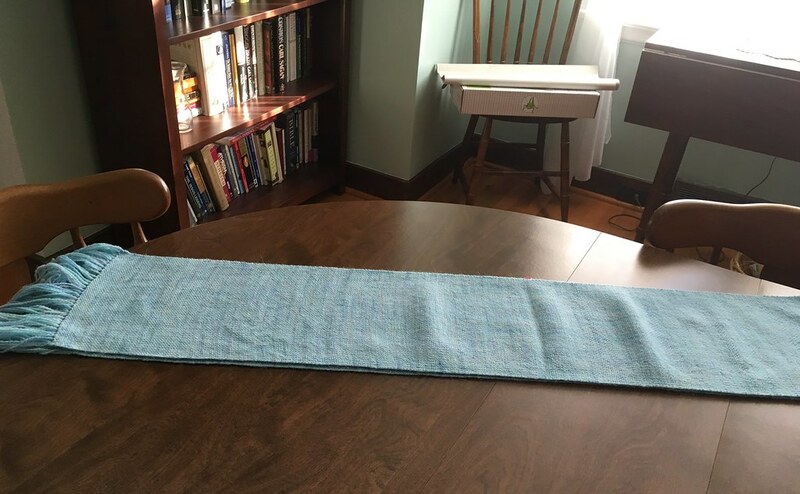 I’m sure your next weaving project will go differently now you know what to look for. 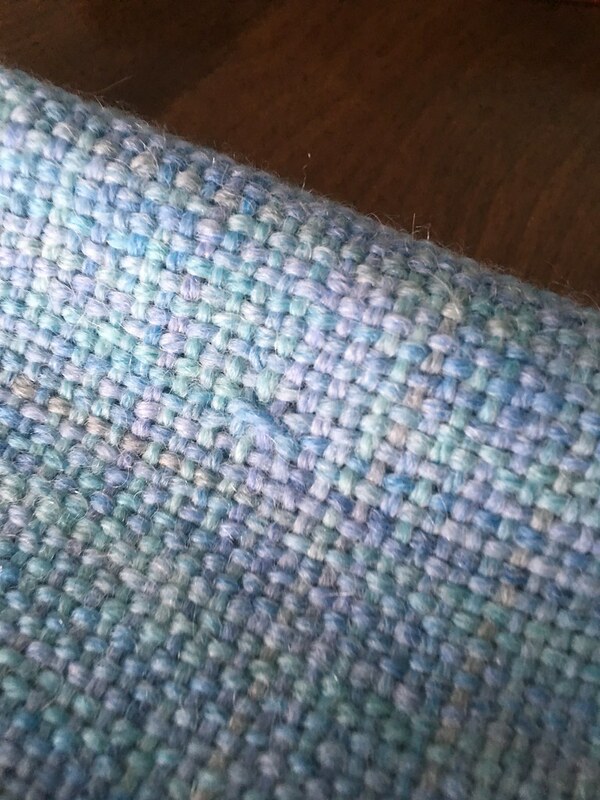 I kind of expect that each weaving project will present at least one challenge, just not the same challenge as the previous ones, I hope. I try to learn from my mistakes, but the lesson doesn’t alway stick. It’s beautiful! 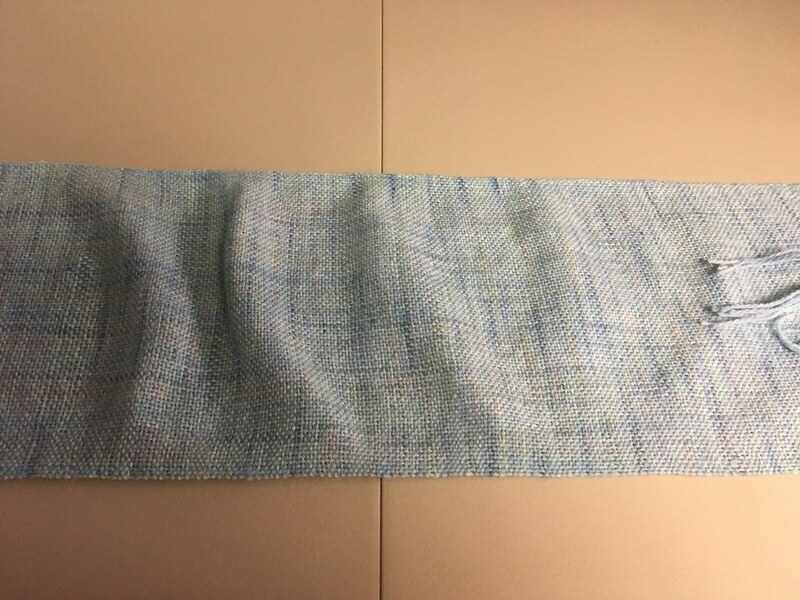 The ripples don’t show up when the scarf is worn, and it was a learning experience, so I’d say that’s not bad at all. 🙂 Have fun with the fringes! Thanks, Anita. 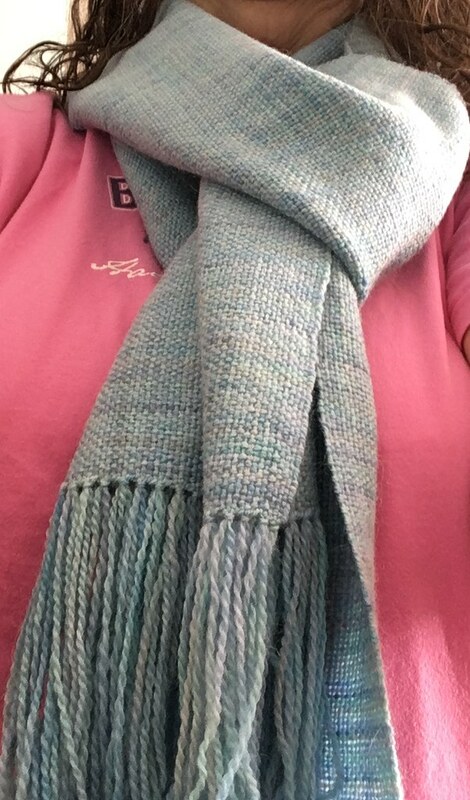 Overall, I am very pleased with how the scarf turned out, and yes, I have learned a lot. 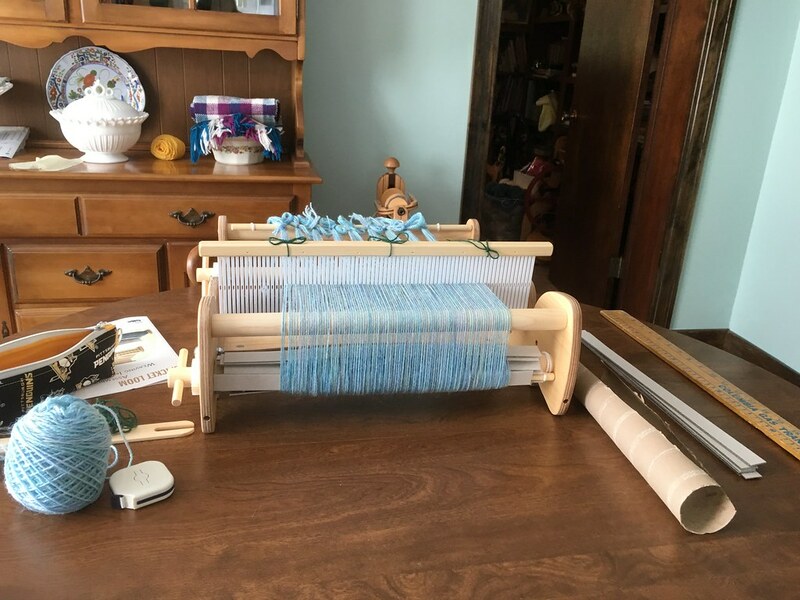 First of all, I learned how to correct the “floats” (the warp threads I missed) and did that this afternoon. It was pretty easy and didn’t take a lot of time, and the repairs are virtually invisible. 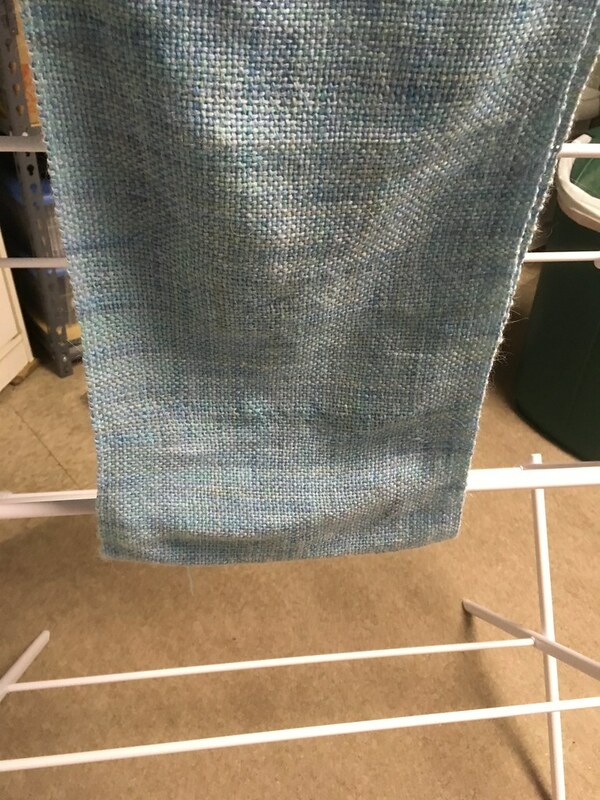 Also, I have since learned that there is a way to correct, or at least alleviate, the tension problem I had with the warp during the weaving. So if it happens again, I will be able to fix it. In the end it looks pretty good and the selvedges look great. You should be pleased with it.